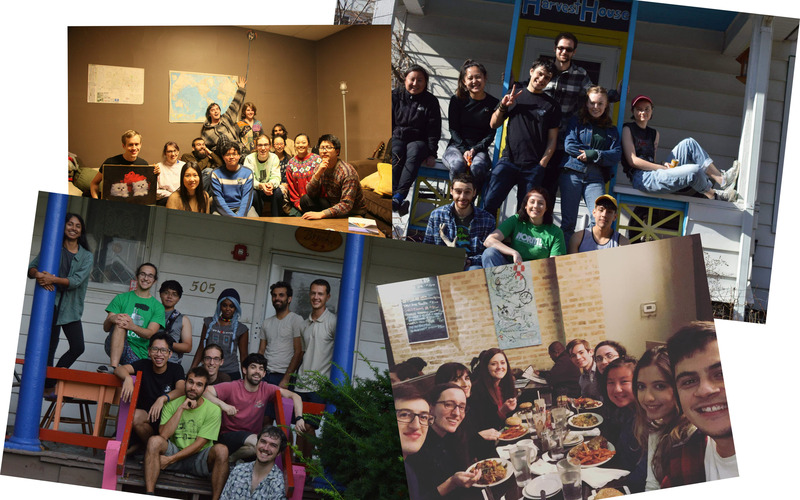 Community of Urbana Co-operative Housing (COUCH) is fundraising to send 1/3 of its membership to an educational training institute held Nov 2-4 by the North American Students of Cooperation (NASCO), a co-op network celebrating its 50th anniversary this year. With your donations, we'll be able to participate in this weekend of learning and work towards strengthening our co-ops and and communities! To sweeten the deal, we'll give out gifts to those who donate over certain amounts! If you donate over $10, we'll send you a zine of some of our favorite recipes or a coupon for a meal at Harvest House or Brooks! Please send your mailing address to couchcoopboard@gmail.com after making your donation and we will get you your gift in the next few weeks! Why do we want to go to Institute? COUCH has a long term goal of expanding cooperative housing options in Urbana-Champaign, bringing community-managed, affordable housing to as many people as possible. We'd like to send our members to Institute to gain skills that will make our cooperative houses more accessible, efficient, and robust. Institute offers over 50 educational training sessions, discussions, and workshops! Scholarships already received: $750 from NASCO Properties to COUCH, plus at least $325 for individuals (we will update here if we get more scholarships!). What a wonderful bunch of human beings - keep up the good work!